When you buy a home or building lot for sale in the Crown Isle Resort and Golf Community in Courtenay on Vancouver Island, you become a part of the Comox Valley's most in-demand neighbourhood. This comprehensively planned community is well known for exceptional housing and plethora of amenities nearby. 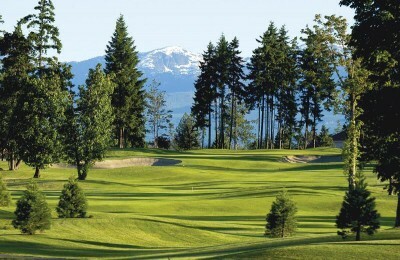 At the centre of Crown Isle is Vancouver Island's #1 rated public golf course (Score Golf Magazine). This world-class course was designed by Graham Cooke & Associates, and offers a Par 72 course in a classic links style. New members enjoy a complimentary 30 minute golf lesson from Crown Isle's CPGA professionals. Crown Isle offers residents the complete active West Coast lifestyle. Mt. Washington Alpine resort for skiing and snowboarding, along with Strathcona Park with its numerous hiking and biking trails are all nearby. Looking for something closing to home? The Comox Valley Aquatic Centre is only a few minutes away by foot and Comox Marina is a short drive down the road. A building lot for sale in Courtenay at The Ridge offers residents an outstanding opportunity to enjoy the lifestyle that makes Vancouver Island so popular. From outdoor pursuits to arts and culture, you will find it all in the Comox Valley communities of Courtenay, Comox and Cumberland. The Ridge is one of Courtenay's newest residential neighbourhoods and is located in south Courtenay with views of the Georgia Strait, Comox Glacier, and Mt. Washington. If you love sailing, the Comox Marina offers a full-service marina for your boat and easy access to the famed Desolation Sound. 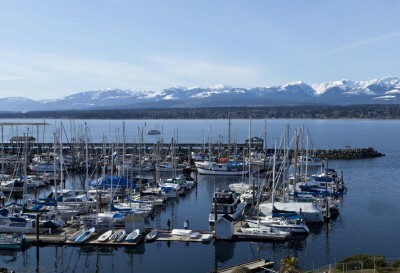 Or enjoy sailing from Comox around the Gulf Islands and into the United States. Come winter time when you'd rather dock the boat than sail it, you will enjoy the many theatre and music productions offered by the Sid Williams Theatre and other community groups. Or, take advantage of the mild winters the Comox Valley is renowned for and golf on any of the seven golf courses in the community, including Crown Isle, Sunnydale, Mulligans and more. Hampton Gate is the only single family gated community in the Crown Isle Resort & Golf Community in Courtenay on Vancouver Island. There is now a three-bedroom, three-bathroom home with full views of the Comox Glacier for sale in this exclusive neighbourhood (MLS #389295). This single family home for sale offers southern exposure and plenty of natural light throughout the home. Features include wainscoting, crown mouldings, oak hardwood floors and vaulted tongue and groove ceilings in the great room, while the master suite offers ensuite with double sinks, free-standing tub, custom tile shower, and heated tile floor. The kitchen comes with stainless steel appliances, quartz counters, and an oversized butlers pantry. Outside, the yard is professionally design with low maintenance landscaping. You will enjoy easy access to Crown Isle's world class golf course, designed by Graham Cooke & Associates an in operation since 1992. The course is Platinum rated, superbly maintained, and recently hosted the PGA Tour 2015 Q-School. 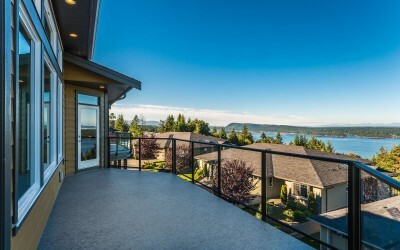 Two show homes have sold at The Gales in Ladysmith on Vancouver Island in the past three months, and finishing work has started on a third show home to meet demand in this oceanside residential development. Located at #10 - 626 Farrell Road, this new luxury patio home for sale is a custom Built Green® home by award winning GNB Builders. This three bedroom, three bathroom luxury patio home for sale at The Gales has achieved Platinum designation, recognizing the best in quality and environmentally sensitive materials and construction techniques. This home offers environmentally friendly features to help you save on your heating and energy bills, including a Carrier Infinity heat pump, HRV ventilation, and Rheem Marathon Limited Lifetime hot water tank. There is still time to pick your own colours and decor for this 3,000 sq. ft. patio home. 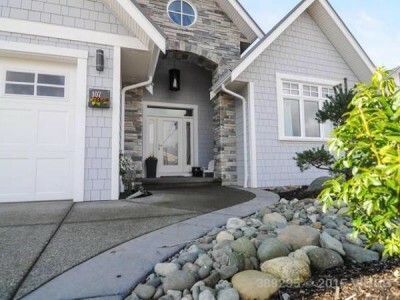 You will enjoy spectacular ocean and mountain views from both the upper and lower level of this home, and are minutes away from the many outdoor pursuits that Vancouver Island is known for. Marina's, kayaking, and golf are all within minutes of the development. The airport - only 10 minutes away - offers daily direct flights to Calgary.